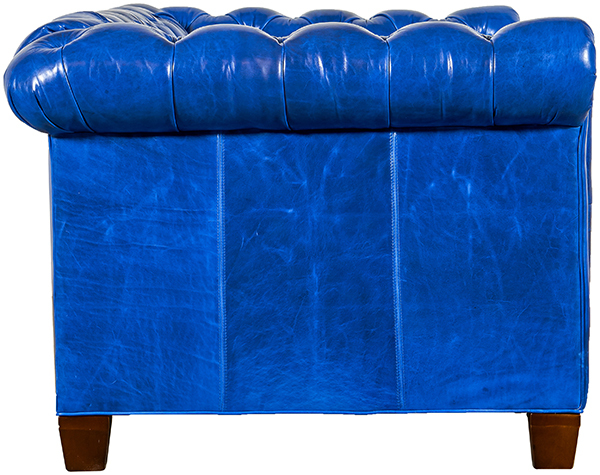 Representing the top 5% of leathers used on Upholstered Furniture. On Sale in 4 Sofa and 4 Sleep Sofa sizes with 4 Sleep Sofa Mattress options. Leg Options For an additional $99 per piece you can choose from six other leg options. Each of these handmade solid wood legs are made by skilled woodcarvers in and around Hickory, North Carolina, never imported. Choose our standard Classic Coil Spring mattress or select from two optional mattress upgrades. Choose our Memory Flex, memory foam mattress for $199 or for the utmost in sleep sofa comfort choose the Air Dream Ultimate Mattress with patented air-over-coil technology for $279. This innovative mattress inflates in less than one minute. All of our sleep sofas feature Leggett and Platt mechanisms. Please call for details. Limited Time Offer April 1st - April 30th in Brompton and Dakota only, includes free extended service plan, free in home delivery and no sales tax in most states. Includes true 8 way hand tied hand knotted construction, hand tufted seat and a 5/4 solid Maple frame (not hardwood plywood). Cannot be combined with other offers. 86" Sofa - Inside Cushion Depth: 24". 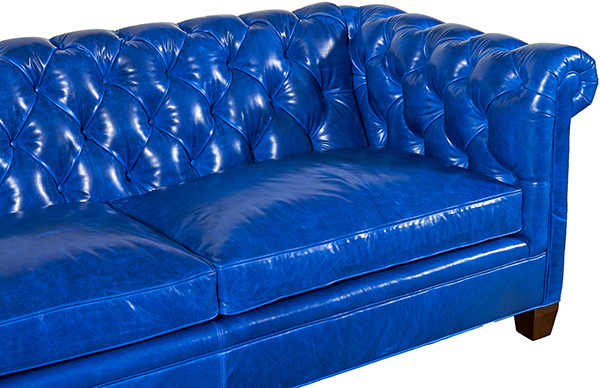 Inside Cushion Width: 67.5"
The Chesterfield Sofa 86"W x 39"D x 30"H with Tufting Detail. Upholstered in Mont Blanc Baltic. 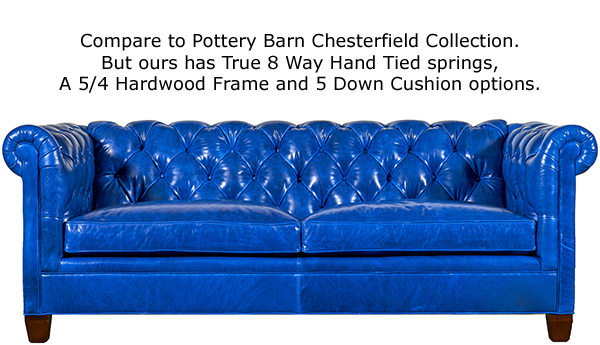 The Chesterfield Sofa 86"W x 39"D x 30"H side view. The Chesterfield Sofa 86"W x 39"D x 30"H rear view.